April Kennedy...My Life + My Style: This + That Friday. 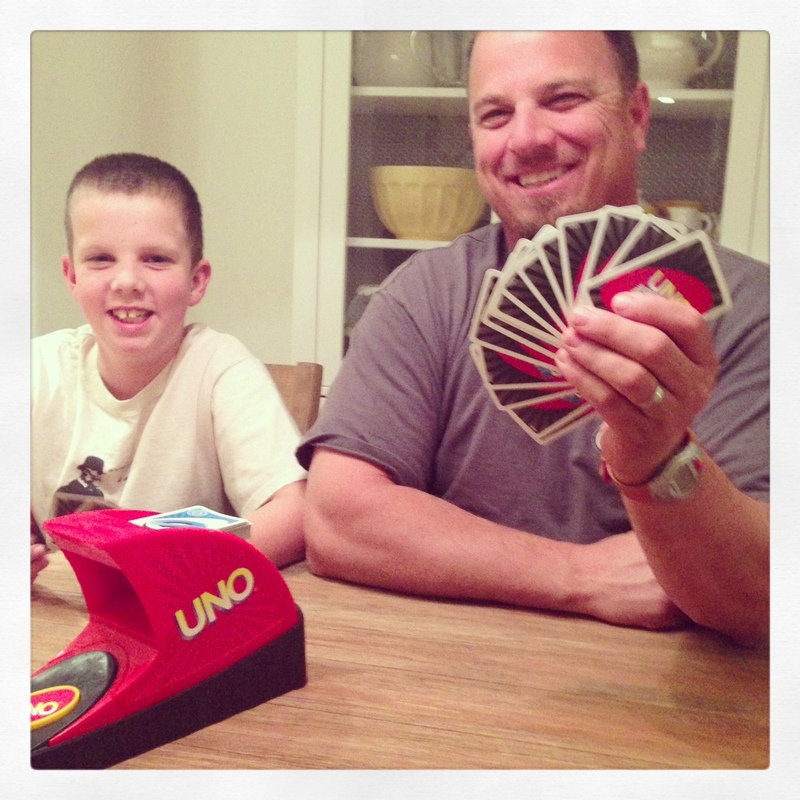 This was Dave's hand for Uno Attack for Family Night Monday night. He won! Can you believe that? 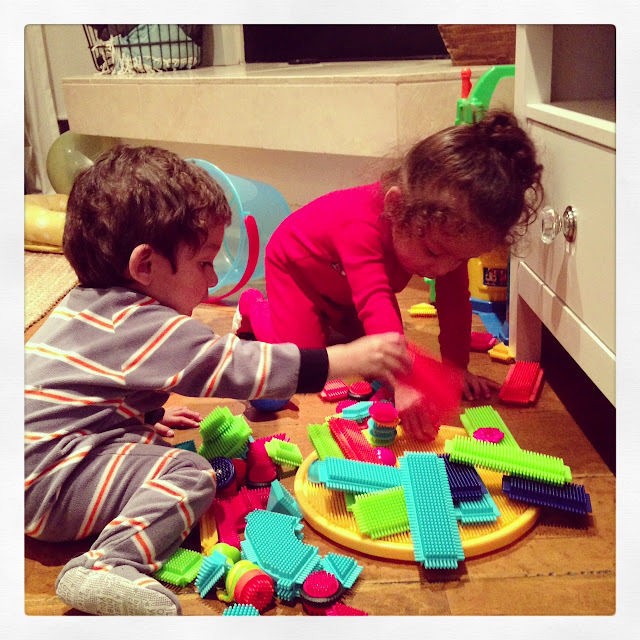 That set of bristle blocks are the littles most favorite toy. Bonus...the blocks came in a lidded container. And another bonus, both help clean them up! because he has a hard time pulling his legs in close but he is loving this new view. 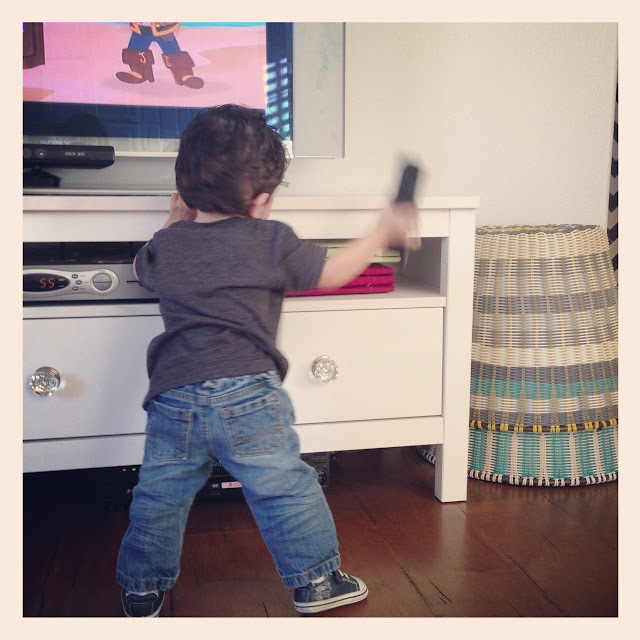 He is obssessed with remote controls. And the batteries. But we remove those. That one time in Target...when these two ottomans jumped in my cart and wouldn't get out. I begged them to get back on the shelf, but they didn't listen to me. I gave in. They loved me and wanted to come live with us. as to what I bring into our home. 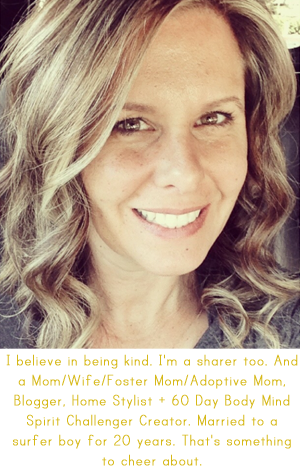 It has to fit my criteria of serving a purpose and not take up too much space. These stack, are stylish and have a metal interior base. 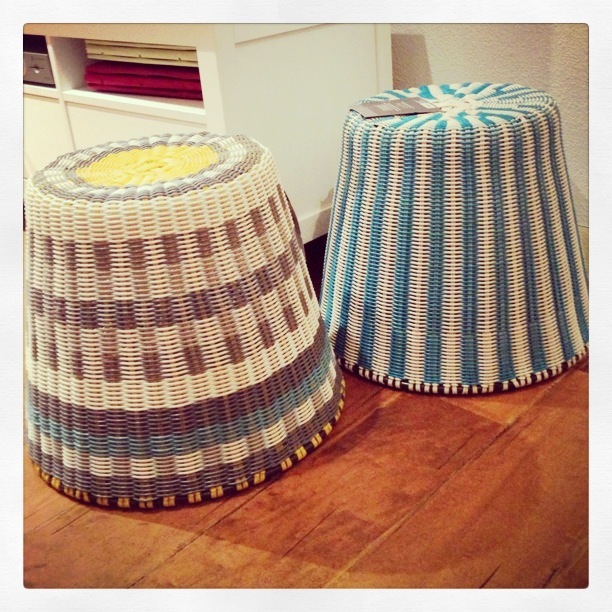 They are sturdy and will be great as foot stools or extra seating. are these pictures all repeats? it seems instagram hijacked my blog. it all goes there first! I follow you on instagram and I love seeing the pics here and there! thank you!! hope you are having a great weekend. I follow you, and I don't mind the repeats. Emily, thanks so much!! sri lanka life looks like a great experience so far! I can't believe how big the littles are getting! Oh, what a fun, fun Friday! :) I don't know the 1st thing about Instagram but maybe I can be convinced to get on there? ;) Happy Weekend my friend!